You want to be sure that you’re working with a reliable company. To ensure that we are the best choice for all our packaging, you can see here which certifications are company possesses. Firstly, we are completely up-to-date according to the newest ISO standards. With our ISO certifications, we can demonstrate that our quality management system meets all the requirements set by ISO. With this, we can show everyone that Zakkencentrale is able to meet the requirements of our customers, that we comply with all laws and regulations of our industry and that our quality management system is in order. This has been assessed by an external, independent party. We are therefore proud of our ISO certifications and are happy to share these with our customers. 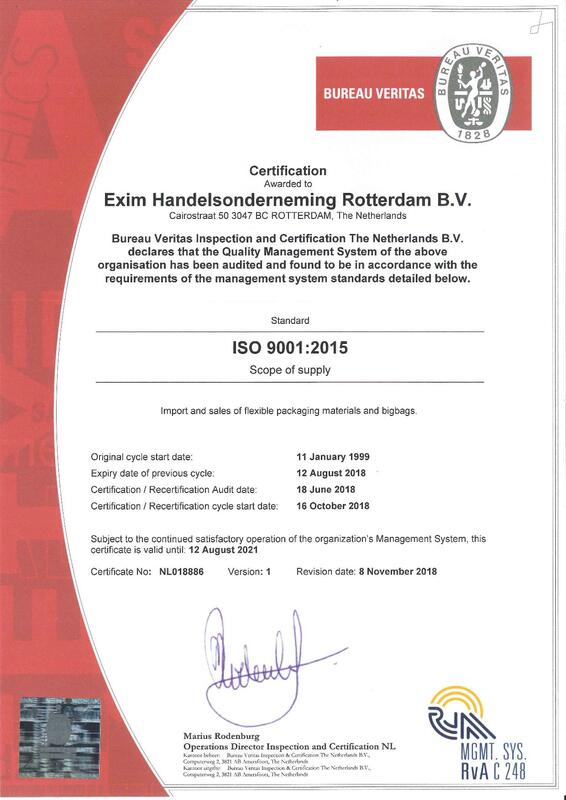 We have two certificates with which we can demonstrate that we meet all the requirements and standards of ISO 9001:2008. In addition to ISO 9001:2008, we also have the certificates of AEO, Authorized Economic Operator. This certification is intended for companies that operate internationally and is being issued by Customs. We have obtained these AEO certificates because we meet the safety criteria associated with this certification. These criteria are based on the Community Customs Code and its implementing regulations. Thanks to these certificates, we can more easily get our business operations across the border. Advantages in international trade are, for example, less strict controls in cross-border trade, so that there is less delay, which means that business will go faster.